Airbus A340 departed Zurich towards Shanghai/Pudong as LX188. 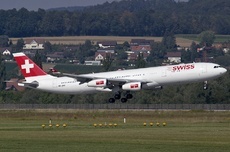 After smoke development in the cabin, the aircraft diverted to Munich for a precautionary landing. Firefighters escorted the aircraft to the gate, passengers disembarked normally. The return flight was cancelled.